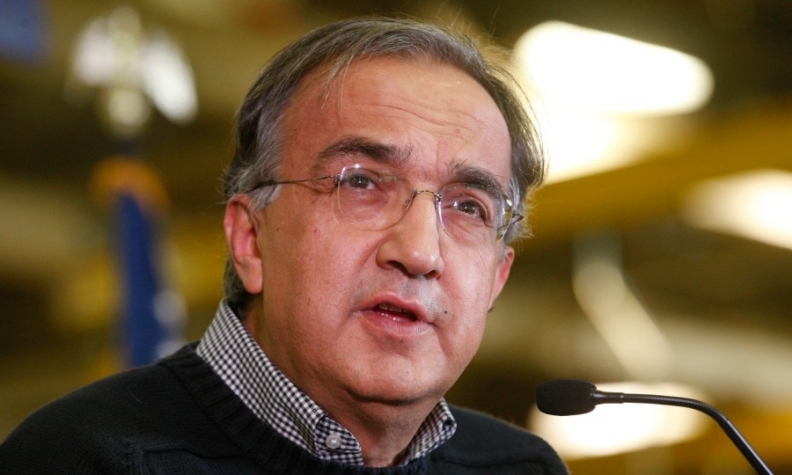 Sergio Marchionne: "I write lots of emails." FRANKFURT/MELFI, Italy (Reuters) -- FCA CEO Sergio Marchionne is convinced a merger in the auto industry will happen before 2018, he said during a visit to the carmaker's Melfi plant in southern Italy. "I am absolutely certain that before 2018 there will be a merger," he said in response to a question of whether he saw consolidation happening in the industry, without specifying whether this would involve FCA. "It's my personal opinion, based on a gut feeling." Marchionne declined to confirm whether he wrote an email with a merger proposal to General Motors CEO Mary Barra, as reported by the New York Times on Saturday. "I write lots of emails; one does not talk about those things this way," he said. Meanwhile, Karl-Thomas Neumann, CEO of GM's Opel unit, ruled out a deal with Fiat but said he sees the need to improve volume, scale and utilization in the auto industry and at his company. "In principle, Marchionne is right -- the auto industry develops the same things ten times over," Neumann said. The need for European cars to cut fleet emissions means carmakers are developing very similar engines. The cost of making next-generation smaller engines can be cut by sharing development costs among brands. "It was a big mistake for Opel to search for scale with PSA and not within GM," Neumann said, referring to an alliance with French carmaker PSA Peugeot Citroen. Neumann has pared back the extent of cooperation projects with Peugeot and focused on using GM platforms instead.